We love find luxury locations where we can combine yoga activities with a spa retreat. 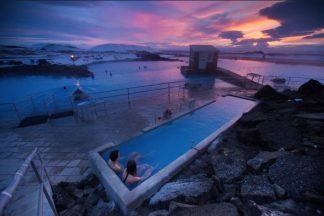 Let’s face it there is nothing quite like a good soak in a thermal bath or hot after a challenging yoga class. Receiving a a brilliant massage or healing session while you are in “me-time-mode” is the perfect time (more of this in another blog where we focus on bodywork). One of our favourite things to do after an exhilarating day of yoga and exploring is to take a dip in a thermal bath aaaaaaaand relax. When your body has been working hard the heat soothes aching muscles and the minerals in the water get soaked up by the skin. The beautiful views soothe your soul and make your heart sing too! A good night’s sleep is pretty much guaranteed after an evening hot spring session. 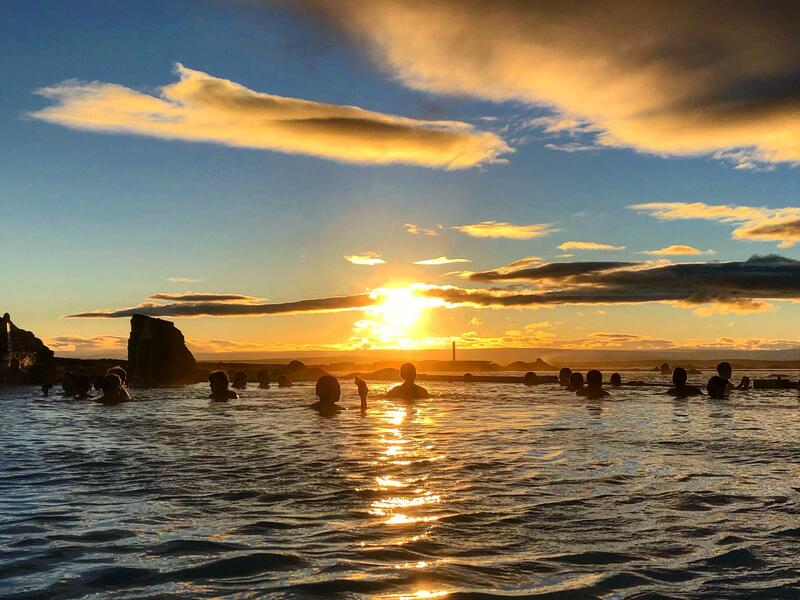 Sharing is caring so we have made you a list of our favourite yoga and spa retreats with hot springs, nature baths and geothermal pools. This photo speaks a thousand words. These natural thermal baths are similar to the more famous Blue Lagoon but without the crowds. We spend a few hours in full spa retreat mode here at the end of a day out exploring, watching the sun go down while soaking in the deliciously warm water. The views are incredible. 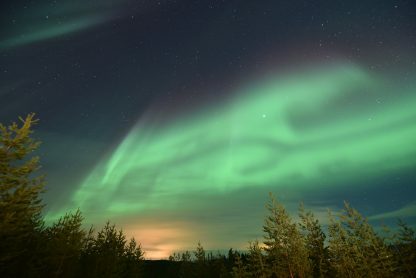 Last year we had a fantastic show of the Northern Lights on the way home from the spa, just as we drove over the mountain with the valley and fjords lit up green below us. It was pretty much a perfect retreat day. We chose our new yoga retreat location in The Azores partly because of its proximity to Poça da Dona Beija thermal spa and baths. There are geothermal hot springs all over these volcanic islands but the Furnas pools are particularly magical, especially at night. With five cascading thermal pools and tropical landscaping it is the perfect spa retreat and ideal for a peaceful soak after a challenging day of yoga with Adam Husler. Japan has been onsen bathing since at least the eighth century and there are thousands of them all over the country. We stay in 2-3 locations on our Japan yoga retreats and they all have their own onsen or one close by, so we will be in spa retreat mode on most days. Onsen water is pretty hot with minimum temperatures of 25C! The water has a multitude of healing properties as it is packed full of minerals that are really good for your skin, circulation and general health. Onsen are usually found in beautiful locations and attached to traditional inns, like the one pictured above in Nozawa onsen – a pretty village in the Japanese alps filled with steaming baths. Here is a fabulous video all about onsen. 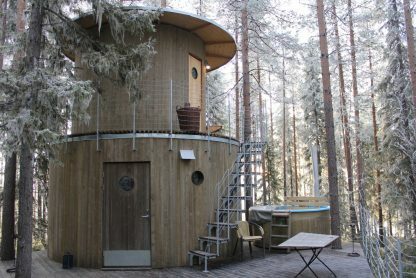 While we are here can we just mention that we love a sauna too! Top of the list is our Mongolian Yurt Sauna, set by a river in the wilderness. This is a truly spectacular experience and a very welcome one when your body is feeling challenged by Jivamukti yoga, hiking, horse riding and kayaking! 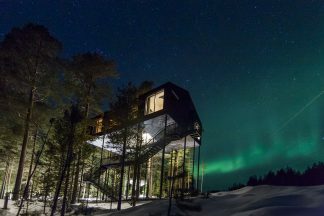 Next on the list is our Treehouse Sauna in Lapland, where you can warm yourself up and watch the Northern Lights at the same time. Oh and we should also tell you that we love a jacuzzi too!! Winner of this category is the Rooftop Jacuzzi in Costa Rica, set on the 6th floor above the rainforest with the most insane views. 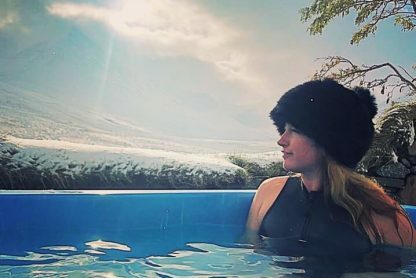 Close second is the mountain view hot tub in Iceland, where you can sit and stare at snow capped mountains and rest your body after a day of adventures.